Honourable Speaker, the Premier of the province, members of the executive, honourable members, officials and guests allow me to greet you all in the spirit of good governance and accountability. Honourable Speaker, the Democratic Alliance acknowledges the role the department of Human settlements is playing to build houses in this province and in the process create jobs and bring skills to our local people in a number of municipalities. The key positions in the department provincially and in the regions need to be filled by relevant individuals so as to carry out their duties adequately. As the result of the skills gap within the department, the department has been faced by a number of challenges such as irregular expenditure, under expenditure which is a clear reflection of lack of commitment to deliver within allocated resources and to account. Therefore, non-compliance with applicable legislation and unguarded and unguided systems and controls, give rise to errors in financial reports. Madam Speaker, we note with concern the under expenditure by the department versus the housing backlog and that again is working against the department priorities, to do more in providing proper shelter for the poor. It is in the same spirit that we acknowledge the unqualified audit opinion for the third consecutive financial year by the department, and we want the MEC and her team to work towards a clean audit and that is possible if the willingness and commitment to bring change is displayed at all times. These challenges Madam Speaker, of non-compliance and under expenditure have a negative impact on a number of priorities, as outlined by the department. These include the provision of bulk infrastructure such as roads, sewer and storm water drainage in a number of human settlement areas. The non- compliance by the officials of the department opens up a loop hole for housing-related corruption cases and awarding of tenders to incompetent contractors. This is mainly because the bid committees are not fully and effectively functional in this department and this is raising serious concerns as it causes unnecessary delays to deal with the back log of housing. It is of paramount importance Madam Speaker, for the department to effectively use the audit task team in partnership with Special Investigation Unit, to send a stern warning to all officials that are colluding with contractors of the consequences of their actions and resultant heavy sanctions against them. Madam Speaker the people of this province require shorter turnaround time in the provision of houses. Houses are necessary to protect our people from elements and to provide safety, dignity and economic benefit. It is a fact Madam Speaker, that the department is struggling to deal with the ever growing need for the provision of high quality, low cost houses in this province. The department is struggling with the provision of the high quality mixed-model developments in our municipalities and the strategy in solving the associated complex challenges that come with services to the people. As the Democratic Alliance, we are continuing with our emphasis about the need to build solid, well-constructed houses for our people in order to assist them in their life-long journey of self –actualisation. Madam Speaker, if we talk about improving the lives of our people and restoring their dignity in our endeavours to change their lives, the department needs to build houses that are integrated and included into our towns and cities’ main economic hubs. Currently, most of our people are excluded and placed on poor soil conditions that are not suitable for human settlement and far away from our own cities. They live in poorly built houses where there are no proper roads, no schools, no clinics and in number of cases no running water to mention a few. Somlomo, the amount of money that is spent on rectification of houses instead of building proper house from start leaves me with a lot learn. Where are going as province, where are missing the point? Honourable Speaker, under the programme Emergency Housing Assistance, the Department of Human settlement in this province needs to intensify its intervention to people who are homeless and are found in life threatening situations. These being people found in destitute circumstances. This programme should include providing shelter for the families affected by disaster and the upgrading of informal settlements. Rectification of houses should also be included in this programme. Land acquisition for housing development projects has been a major challenge to the department for a number of years, resulting in the failure to provide adequate shelter for our people. Land should be strategically allocated to ensure community integration and socio-economic sustainability of housing development. Abantu bakuthi Somlomo bafuna ukwakhelwa izindlu kumhlaba ofanelekileyo ukubuyisa isidima, kwaye kumhla oqiqelwe ukuzisa inkondzo ngokukhawulezileyo. Honourable speaker we are not entirely convinced that the budget increase for the department will bring any drastic or remarkable change to the current trend of housing provision and housing eradication backlogs in the Eastern Cape. 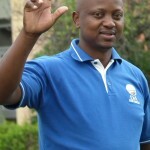 Siya yamkela lengxelo yokomiti singu Mbutho We Democratic Alliance.